Big data is increasingly becoming a hot topic in the social sciences, but what is it and why should we care? This talk focuses on answering these questions and suggests that big data is likely to revolutionize how we do our research. I will discuss how big data can be collected, stored, and analyzed, and the types of new insights it can provide to social scientists. I focus specifically on Facebook data and two datasets my lab is currently work with: (a) a sample of 50+ million individuals for whom we have the capacity to predict virtually any trait, and (b) a macro-dataset of every friendship made in the world on Facebook from 2006-2012 by all Facebook users at the national-aggregate level. New empirical findings will focus on prosociality, well-being, and health, though the talk’s central aim is to demonstrate how big data can be applied to traditional social science research questions. 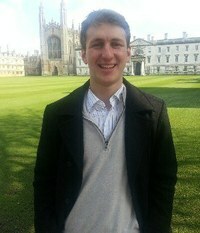 Aleksandr Kogan Ph.D. is currently a University Lecturer (Assistant Professor) at the University of Cambridge, directing the Prosociality and Well-being Lab. He received his undergraduate training at the University of California, Berkeley and his Ph.D. from the University of Hong Kong. He then went onto a post-doctoral fellowship at the University of Toronto before joining the Cambridge Department of Psychology in 2012. Alex’s research interests are broadly centered on the biological, contextual, cultural, and experiential forces that shape human kindness and well-being. Alex’s work has been featured in numerous media outlets, including BBC, Time, CNN, and Discovery Magazine. Dr. Lee Li Neng Wins Annual Teaching Excellence Award (ATEA) for AY2017/2018! Psychology Student Teo Min Yu Wins SPS 2018 Most Promising Research Award! Copyright © 2019 Psychology @ NUS.